!!! Kill zombies with your own upgraded guns and items !!! !!! Not a simple app that only fires gun and customizes !!! 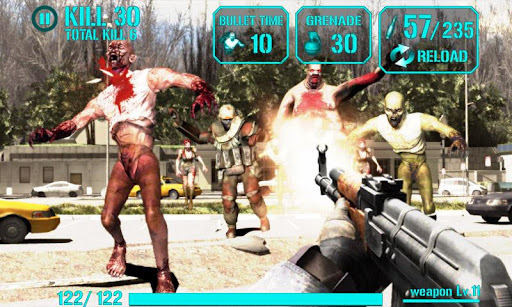 ☞ iGun-Zombie enables shooting simulations and different customizing and supports various game mode with own gun from 150 stage and boss mode to hell wave of infinite forms. Also iGun-Zombie supplies interest cleared mission with various items and new interest that collects, decorates and upgrades own guns. - Various items -- armor-piercing bullet, grenade, bullet time etc. Guns and missions are expected to be updated continuously. 0 Komentar untuk "iGun Zombie v1.0.6 Apk"